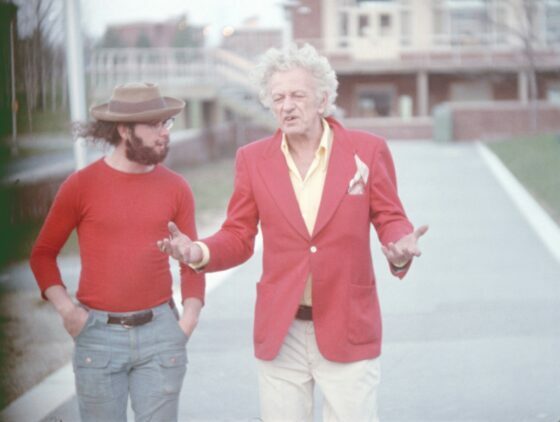 Nicholas Ray, eternal auteurist pet project. Iterations of Jean-Luc Godard’s poetic formulation that Ray is the cinema have appeared and likely will continue to appear wherever and whenever the director of They Live by Night (1947) and Rebel Without a Cause (1955) is remembered. Without much reflection, the phrase has been absorbed as a sort of impassioned cinephilic mantra. 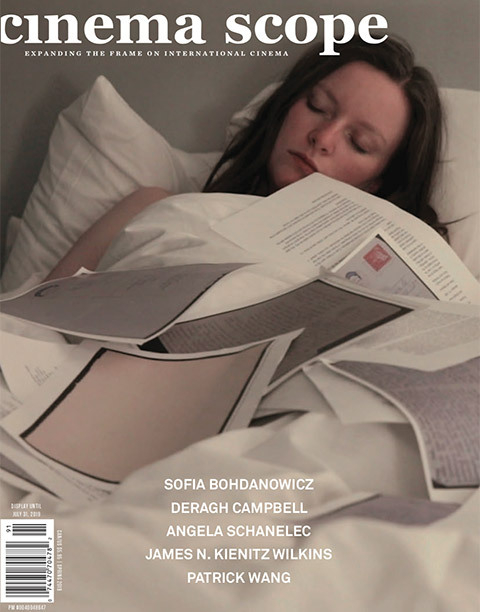 The thought of a single filmmaking voice powerfully and meaningfully epitomizing a medium is certainly seductive, and as a part of the Cahiers du Cinéma’s yellow period auteur politic, Godard’s words were a necessary, attention-grabbing strategy at a time when stagnant theatrical and literary trends still had primacy in French cinema. Today one knows that, more than an embodiment of a medium, Ray’s work helps to identify a period, namely the last great era of Hollywood filmmaking. In France at the end of the ‘50s, Godard and his colleagues simply did not have the foresight to know that this was an impending reality. In less than a decade, several of the major Hollywood players would splinter away from studios and form their own companies; new aesthetic and commercial heights would be reached in Europe, South America, and Asia; and more discreetly and less commercially, dazzling works would surface in the avant-garde scene. The critical apparatus would be challenged, too, in a few short years, as the radical movements of the ‘60s gave filmmaker-artists a newborn political thrust. By the end of the decade could anyone reasonably say, without getting laughed out of the room, that Nicholas Ray was the cinema? Certainly not Ken Jacobs, already an established figure in experimental circles when he crossed paths with Nicholas Ray at Harpur College in upstate New York. Jacobs had helped to start a cinema department at the school when Ray, already long disenfranchised from Hollywood, was poached to teach there. In an account published earlier this year in the Oxford University Press collection Optic Antics: The Cinema of Ken Jacobs, Larry Gottheim narrates how these two stormy egos clashed: over students, equipment that Ray continually monopolized, and, finally, the direction of the entire department which Jacobs and Gottheim had fought hard to legitimize as an autonomous university presence. It was at this awkward juncture that Ray had begun his near-decade-long “disaster” (as Jacobs termed it in an email to me) We Can’t Go Home Again, a sprawling multi-screen experimental narrative by an unemployable Hollywood filmmaker. Needless to say, Jacobs and others remained on their toes, waiting for Ray’s Harpur connections to dry up. In spite of the acrimony Ray created between himself and other faculty, he still managed to seduce a legion of students into working with him, and secured funds from a number of official and unofficial sources to begin shooting in a variety of formats. Over the course of his two-year tenure at Harpur—where he eventually ended up spending more time off campus, in a remote barn where he and his crew lived—the bulk of the material from We Can’t Go Home Again was shot. This covers the period 1971-73; from this point on until his death in 1979, Ray would continue to tinker with various versions of the film. Between the two known cuts of We Can’t Go Home Again—the one shown in Cannes in 1973 and a no-longer-extant edit from 1976—it’s the 1973 version that has circulated most widely, thanks, as Susan Ray has noted, to a sole 35mm distribution print held in Spain by Jos Oliver (co-author with Víctor Erice of the wonderfully detailed tome, Nicholas Ray y su tiempo). It’s also this version that most closely resembles the 2011 restoration. In fact, the negative elements are identical in both the ’73 and ’11 versions; it’s only the soundtrack from the latter which has changed somewhat and incorporates elements hitherto unavailable. Although impossible to enumerate fully based on my so-far single viewing of We Can’t Go Home Again 2011, the notable changes include Ray’s own voice (culled from elements that made up the 1976 cut) substituting for student Tom Farrell’s voiceover at the beginning of the film. Ray’s narration is both more detailed—Farrell’s voice never identified, for example, the fleeting images of Black Panther Fred Hampton’s murder site in Chicago—and changes the perspective of the opening entirely. Farrell spoke candidly from his own point of view as a recent high-school graduate watching the tumultuous events surrounding the 1968 Chicago Democratic Convention on television and how it anticipated his immersion in activist movements as a student at Harpur. Farrell is then interrupted by another student who recalls the paranoia around the Bay of Pigs invasion (the later narration is maintained in the 2011 cut, while Farrell’s voice is completely excised). Now we have Ray describing his aborted project on the Chicago Seven trial, how he came to Harpur, and how We Can’t Go Home Again evolved, thus assigning the film’s central perspective to the teacher and not the students. That doesn’t discount the student involvement; as We Can’t Go Home Again 2011’s opening title conserves, it’s a film by “Us,” and that collaborative impetus is essential to understanding the work. Already at the beginning Ray is seen scrutinized by his students. “Aren’t you too old to be a new professor?” Richie Bock asks. Another student, Leslie Levinson, trying guilelessly to connect to her professor, says, “Maybe sometime you could tell me about Marilyn and Jane…I could dig it.” Ray dryly counters, “Which Jane?” In this sequence, Ray’s students are each presented in well-lit close-ups, whereas their teacher’s face is seen in a countershot that has been thoroughly distorted using Nam Jun Paik’s video synthesizer. Ray’s use of focal distortions to convey Ed Avery’s drugged state in Bigger Than Life (1956) is only one of the many evident stylistic precedents in Ray’s career to We Can’t Go Home Again. In Johnny Guitar (1954) and Hot Blood (1956), his bold use of colour and off-centre staging and framing had the uncanny effect of unmasking his characters’ deepest fears and desires. It’s no different in We Can’t Go Home Again, Paik’s synthesizer or the use of multiple images becoming another tool like CinemaScope or Technicolor in those earlier films. While We Can’t Go Home Again’s merits may seem apparent, champions of Ray’s Hollywood phase have never challenged themselves to see beyond its inherent flaws (the technical sloppiness, the fact that it was never finished, etc.) Similarly, the avant-garde community, perhaps guided by Jacobs’ vitriol, has always approached it with indifference, never quite willing to place it alongside the multi-screen experiments of Warhol, Harry Smith, and Godard. 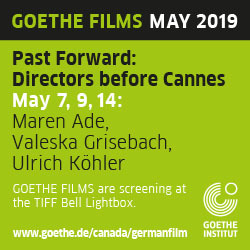 We Can’t Go Home Again is truly one of the loneliest films; as such, its Venice premiere and subsequent rollout to festivals and cinematheques in a new digital master (Susan Ray has reported that no 35mm prints will be made) will present several high-profile opportunities for a critical re-evaluation. Erice, one of the film’s few ardent champions, has asserted that “time has done nothing but confirm the value of the film,” and perhaps he’s right. As one of the supreme film maudits its appeal is undeniable, and seen next to Ray’s chief Hollywood output, it offers surprising continuity to his central themes. In many ways, the most disarming aspect of We Can’t Go Home Again is the way in which the filmmaker puts himself front and centre. Ray’s acute sense of identification and empathy with his central characters—each of them more explosive and self-effacing than the last—is unmistakable to anyone with even a cursory knowledge of the Hollywood films. In We Can’t Go Home Again, he lifts the veil up to simply present himself, vulnerable, out of his comfort zone, trapped in his lunatic quest to complete a final film. If nothing else, one cannot fault the honesty with which Ray navigates this uncertain terrain. Quarreling and even coming to fisticuffs with his students, Ray’s backstage affairs become the very core substance of We Can’t Go Home Again. As a final price, he puts himself through a noose until he stops breathing (the staged incident was apparently so realistic that several of the students thought Ray truly intended to end his life). If one could distill We Can’t Go Home Again into a few moments, they would consist of extended episodes with Levinson and Farrell that mirror real-life incidents in the students’ lives. These scenes have the emotional density characteristic of Ray’s ‘50s masterpieces, and are small films within themselves. Levinson, who is seen earlier in the film telling Ray that she nearly prostituted herself to contribute funds towards the completion of We Can’t Go Home Again, holds court in front of an audience of students to confess how she knowingly contracted gonorrhea from a drug dealer in New York. “I’m always doing this to myself,” Levinson insists, “I could be a flower but I’m always ugly.” At the utterance of this line, Ray barricades his vision with two eye patches and sadistically orders his student crew to start launching tomatoes at Levinson. The raw sincerity of the scene is nearly overwhelmed by the dramatic bombast of Levinson shouting, “I’m ugly! I’m ugly! You get outta here!” A rapid-fire multi-screen montage ensues—Picasso’s Guernica is glimpsed, as well as a shot of Ray mimicking firing a machine gun—and then the scene is promptly demystified when Levinson is asked, “Was that real?” In a clearly post-dubbed sound bite, she replies, “Yeah, except for the tomatoes.” Perversely, given the unexpected forcefulness of the earlier moment, Ray makes known that he is apprehensive about maintaining a façade of cruelty. It’s a telling moment, one that may afford the greatest insight into We Can’t Go Home Again’s mechanics as a collective work. Farrell’s invocation of his father and Ray’s off-screen prompts—“Just talk to me, Tom, will ya? Make me believe you…”—reveals that the filmmaker is indeed the surrogate parent in We Can’t Go Home Again. This dynamic at the centre of Ray’s impossible film adventure points back to an overriding theme in many of his best films: the necessity for human beings to create families and their tragic inability to maintain them. They Live by Night, In a Lonely Place (1950), On Dangerous Ground (1952), The Lusty Men (1952), Johnny Guitar, Rebel Without a Cause, and Bigger Than Life are all about the momentary illusion of family, of belonging. The ill-fated characters in these films reflect the filmmaker’s own despair at having never really belonged. For the remainder of his life, Ray lived continuously with We Can’t Go Home Again, editing and re-editing pieces of film until he drew his last breath. For his final work, Ray imagined a family that he would never let go of.